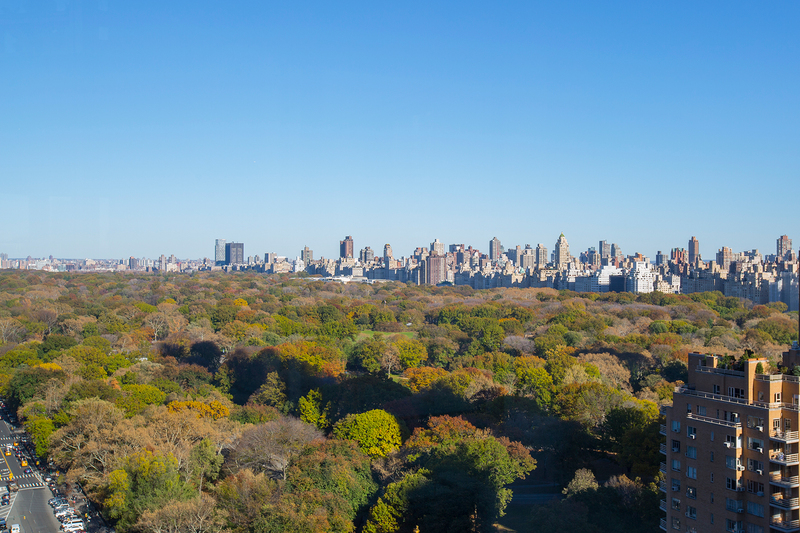 An extraordinary opportunity with breathtaking Central Park and Columbus Circle views. Enter the sun-filled, well-proportioned, 1-bedroom, 1-bath home through a formal entry hall that opens to 27-foot long grand living-dining room. This exceptional space with full length bay windows is perfect for large entertaining or a quiet night at home. The separate gourmet kitchen, from which full views can be seen, will delight every chef at heart. It contains a full-size Sub-Zero refrigerator/freezer, Miele 5-burner range/oven and Miele dishwasher. The oversized master bedroom suite is kissed with park views that can be seen while lying in bed. It is large enough to allow a king-sized bed with separate sitting area. Completing this urban oasis is the newly updated, spa-quality bath. 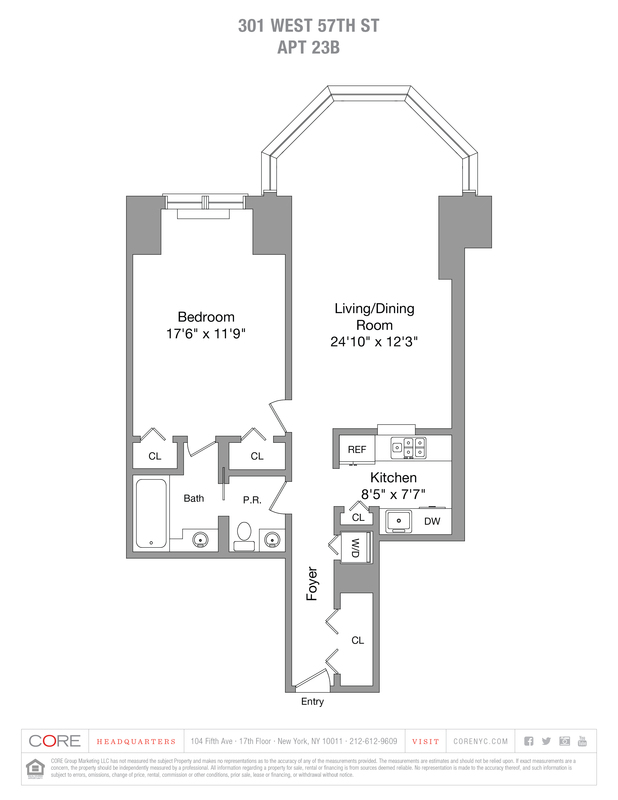 Additional features include pecan herringbone floors, generous closet space and a washer/dryer.